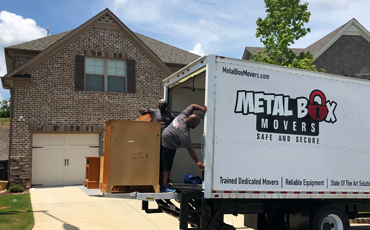 If you’re getting ready to move to a new house in Alpharetta, or you’re a business owner who wants to move to a new building, then Metal Box Movers (MBM) is here to help. 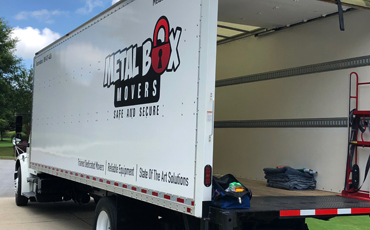 At MBM, our team of local movers has the knowledge and experience necessary to get your belongings from one house to another, or your office furniture from one building to another. Call us today at (770) 795-1800 to learn more! There are lots of things that need to get done before you move, and one of the most important is to find a reputable moving company. 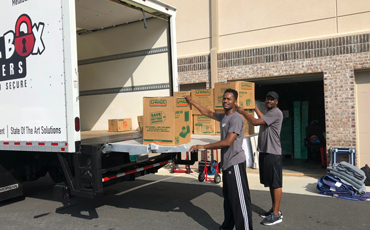 As you’re packing and preparing for your move, you’ll know that all the heavy lifting and carrying will be done by a team that knows what it’s doing, and you’ll be able to focus on changing your address, forwarding your mail, and everything else that you need to do. As we said above, our team has the experience necessary to complete your move successfully. We believe in providing every customer with exceptional service, and we know that moving can be both exciting and challenging. We want you to feel confident that you made the right choice in hiring us, and that your belongings will arrive safely at your new home. If you live in Alpharetta, or you’re planning to move, contact us today. You can get in touch with us by using the form below, and a member of our team will respond as soon as possible. We’ll help you figure out which date will be best for your move, and we’ll gladly answer any questions that you have about our local movers or our services. Above all, we want you to have access to a safe, affordable, and reliable moving team.